Head on over to Walmart.com where you can score this Fisher-Price Little People Thanksgiving Celebration Playset for only $14.99 shipped (Retail $25). 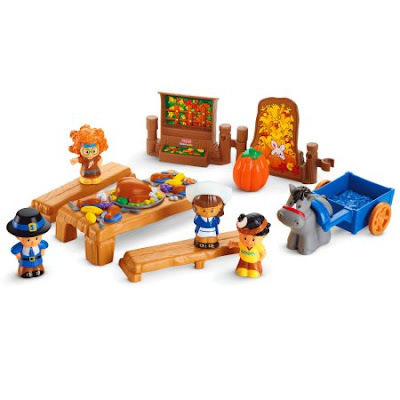 This set includes four Little People Figures, a table with two benches, turkey platter, horse and detachable cart, pumpkin and two fence pieces. This would be great to grab for your gift closet!